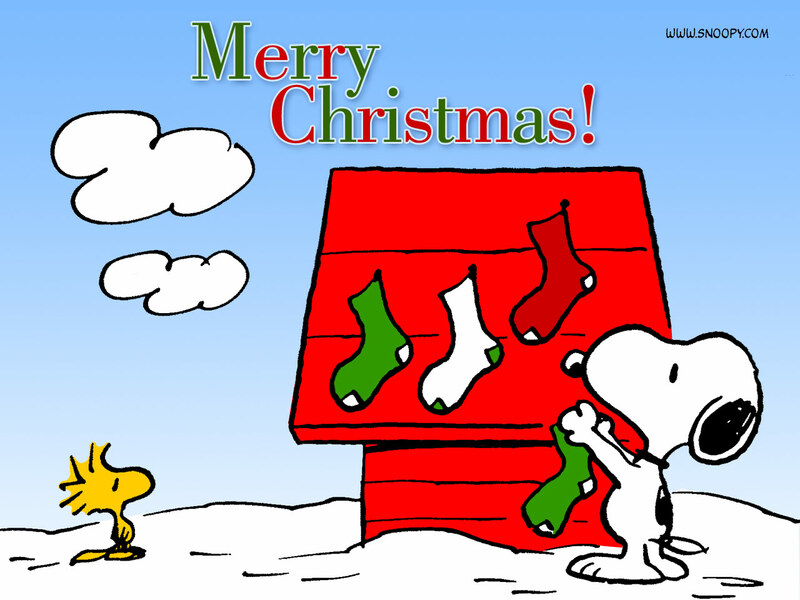 No post today, just the wish that everyone has a Merry Christmas! This wallpaper came from fanpop.com. Winner: All those tired golfers! Around the wider world of golf: There wasn't a wider world of golf. The world ended last Friday -- didn't you hear? As there was no golf this past weekend, I figured I might as well take a look at the reason. That's right. 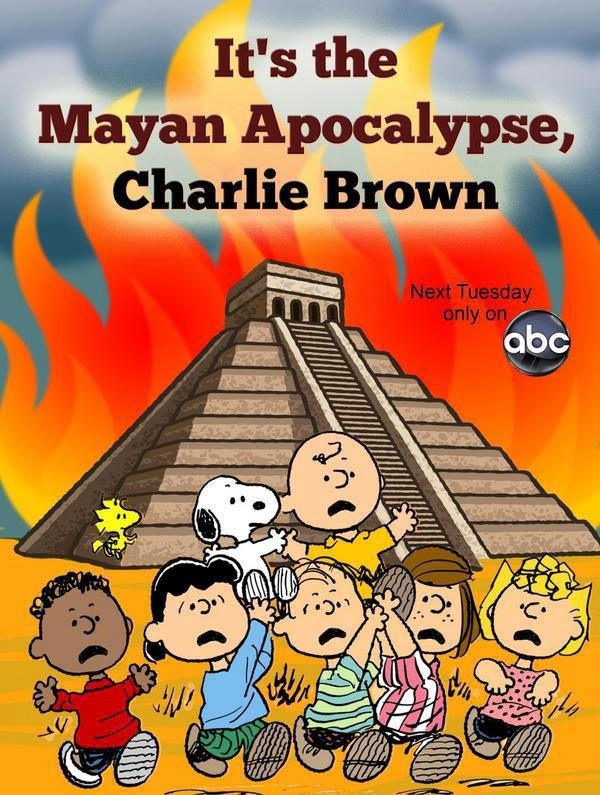 There was no golf this past weekend because of the Mayan apocalypse. Golf courses were empty, as nobody had a tee time. Why set a tee time when there would be no time? There might not even be any golf courses left! And obviously, without fans to buy tickets and line the fairways, sponsors saw no need to put up prize money. Therefore, there were no pro golf tournaments on any major tour this week. Presumably none of us will have to deal with the uproar that may happen on 13 October 4772. I decided that, since there were no tournaments this past week, I would use this Limerick Summary to expose the true significance of b'ak'tun 13. Consider yourself enlightened! Rumors of our demise were a fake! That golfers would need Christmas break! The picture came from comicsbeat.com. In my last retrospective of 2012, I want to look at the PGA Tour. (I include the Web.com Tour in this as well, since several of the players jump back and forth.) And ironically, it may be the shortest of the three posts I've done. That's because 2012 is going to be a tough act to follow. It seemed like every week we had new storylines, new drama, new names stepping into the spotlight. We had Tiger's reemergence, monster comebacks in final rounds (typically 6-7 strokes), blow-out wins (Rory's 8-stroke win at the PGA), dramatic first-time wins (Bubba's wedge to win the Masters), controversy over belly putters, and rookies who showed up the veterans. So what can 2013 possibly offer us? The most likely highlight will be a Tiger-Rory rivalry. Tiger appears to have his game to the point where he can focus on fine-tuning, and Rory seems to have figured out how to balance his personal and professional lives enough to play high-quality (if not consistent) golf. As things stand now, I think Luke Donald and Lee Westwood will continue to round out the Top 4 in the OWGR. Louis Oosthuizen and maybe Charl Schwartzel could make it a Top 6, although that remains to be seen. Louis could have won 6 or 7 times in 2012 had he played just a few holes better. Charl seems to finally be healed up. The two of them have shown streaks of brilliance over the last two years, but are lacking some consistency. If they put things together though, watch out. The rest of the Tour isn't likely to challenge this group consistently. I don't mean we won't see some high-quality play from a lot of players; I just mean it'll be a lot of players that change from week to week, not a few consistent challengers. Speaking of belly putters, look for some new technologically-advanced putters. I don't think they'll really help, but the manufacturers will come up with something to become the new cash cow. After all, if you're reading this, the Mayans were wrong and it looks like you're going to have to learn how to putt after all. ;-) At least we've got a new year of golf to look forward to... and it could be a pretty good one. Today I'm looking back at the Champions Tour... but this will be a fairly short post. Why? Because I don't expect much to change in 2013. Most of the big names of 2013 -- Bernhard Langer, Tom Lehman, Michael Allen, and Fred Funk lead this pack -- will just keep doing what they've been doing. We'll see some up-and-comers like Roger Chapman and Kenny Perry continue their rise, and I'm looking for Peter Senior to join the fray after his win in Australia this month. And Steve Elkington will probably make some noise when he joins the Champions Tour in 2013. Vijay Singh has made no secret that he plans to continue focusing on the PGA Tour. I don't expect to see him in a Champions Tour event unless (1) it's a major -- which may not matter to him either, or (2) there's no PGA event that week and he wants to play anyway. You may wonder why I haven't mentioned Tom Watson and Fred Couples. Tom should be obvious. Having been named the 2014 Ryder Cup captain, I expect him to play a bit more on the PGA Tour... and when he isn't, I suspect he'll be a bit too distracted to play at the same level as usual on the Champions Tour. That seems to happen to everybody who becomes captain. As for Freddie, I think his back is becoming a bigger issue than he's letting on. I believeI heard that the back treatment he's had to go to Germany for is going to be made legal in the US, so it will be more readily available... but it seems to have been less effective in the last few months. I can only assume that's due to deterioration in his condition. I hope I'm wrong, but he did cut back on his playing schedule as 2012 wound down. I've tagged this post "weight shift" because it illustrates an error so many weekend players make but the pros don't. Charl is clearly "shifting his weight" during his swing but he's not moving nearly as much as most weekend players. If you watch his right (trailing) knee during his backswing, you won't see it move to his right very much... but you can see that it twists enough to "point" a little to the right. That's caused by his right hip moving backward -- away from the camera -- as his body turns. His hips don't slide away from the target, they turn. Likewise, on the downswing it looks like he slides toward the target... but take a close look. Stop the video when his left arm is parallel to the ground during the downswing (it's pretty easy to stop it there around the :28 second mark) and take a good look at his body. His spine is still pretty much vertical and just slightly ahead of the center of his stance. In fact, his left shoulder is still inside his left instep at this point! Charl isn't moving a lot. You might find it easier to get this kind of movement if you think about squatting slightly on the downswing, which was Sam Snead's trademark move. Not a big squat, mind you -- just think about starting your downswing by planting both feet flat on the ground. Because your shoulders were turned at the top of the swing, this mini-squat will start your shoulders turning just fine. If you're having trouble hitting down on the ball, this move will also help that problem. 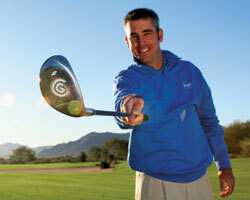 And it will help you stay more centered over the ball, so you should hit the ball more solidly. It's certainly been working for Charl. Around the wider world of golf: Sergio Garcia won the Iskandar Johor Open on the Asian Tour; Daniel Popovic won the Australian PGA Championship on the Australasian Tour; Teresa Lu won the Taifong Ladies Open on the LAGT; Davis Love and his son Dru won the PNC Father/Son Challenge; and Ariya Jutanugarn is leading the LET's Q-School going into its final day. These kind of tournaments drive me crazy. You know -- the tournaments that get played in 2012 but count on the 2013 season. I'm listing this one as 2012 because it IS 2012, dammit! Fortunately for Charl Schwartzel, it doesn't seem to matter what year it is. After struggling most of 2012 with a variety of swing problems (both physical and otherwise), Charl seems to have hit his stride the last few weeks. After two high finishes in tournaments that he didn't win, he took last week's Thailand Golf Championship by 11 strokes and backed it up this week with a 12-stroke victory in the Alfred Dunhill Championship down in South Africa. What can you say about such dominating performances? True, the biggest names in golf aren't playing right now and the other "high-rankers" are scattered around the globe. But winning anywhere is hard, winning two weeks in a row even harder, and going 49-under in those two weeks -- beating the rest of the field by 23 strokes total -- is just unbelievable. If Charl is finally back in the form that gave him the 2011 Masters title, there could be some bleak days ahead for any field he plays in... and the guys at the top of the OWGR might not be exempt from the pressure. This is two weeks straight Charl’s been the victor. He’ll squeeze fields like a boa constrictor. This was such a fascinating piece that I just had to pass it on. Over at golftipsmag.com I found an article by Susie Corona of the LPGA called Blind Reading. It discusses a tip she picked up from a blind golfer for getting a better feel for the break of your putt. The short description is that you walk backward from the hole for a few feet, but the reasoning behind the tip is what I found so interesting. It's a short article, and worth a couple of minutes. You'll have to think about it a little to really understand why it would be better than walking forward, but I think it'll be worth your time. The video is pretty self-explanatory. I'd just like to point out that, while the swing path is in-to-out relative to your foot line, it's still out-to-in relative to your aim line. In other words, you actually aim farther to the left (for a right-hander -- a left-hander aims farther to the right) for this shot to make sure the club head still travels across your aim line. Hopefully this will help you become more consistent at hitting a power fade. So Tom Watson got the 2014 US Ryder Cup captain's gig. One thing that became very obvious in all the coverage on Thursday was that the location -- Scotland -- was the overriding factor in this decision. True, Tom Watson was the last US captain to win an "away game" and his 10-4-1 Ryder Cup record certainly played a part. Tom's knowledge of how to play overseas -- which I believe is a huge factor in the American team's trouble in "away games" -- is also expected to help. He won 4 of his 5 Opens in Scotland, you know. And all that ability to play in less-than-ideal weather -- Scottish weather, of course -- is knowledge he can pass on to his players. I found it most interesting that the PGA started thinking about Tom as the 2014 captain all the way back in October-November 2010, and that they started talking to Tom about 13 months ago or so. Davis Love was apparently aware of it during his captainship. Which means the media completely missed the boat on this one, as Tom was never discussed as a possibility. It also means that the PGA let all that talk go on without giving any indication that things were going to be done differently this time. Frank Nobilo noted that this was something of a coup for the PGA, as the Euro team could have trouble finding somebody with enough stature to compete -- publicity-wise, that is -- with Watson, and that may have given the US team a headstart on it all. Personally, I think it was a smart move just from the standpoint of getting a legend to head the team. Tom is both contemporary with the young players, who seek him out for advice and practice rounds, and yet separate enough to engender a certain level of respect that younger captains might not get, no matter how popular they are. But in the end, the guys still have to hit the shots... and Tom Watson, captain or not, can't do that for them. I'll be interested to see how he manages to overcome that little problem. After all, it's been lack of execution that killed US hopes in the past and it'll be execution that finally gets it done... IF it finally gets done. And that's still one very big IF. Just a reminder that the 2014 US Ryder Cup captain will be announced today on The Today Show on NBC and followed by a special program about it on GC at 10am ET. But if Tim Rosaforte is correct, Tom Watson got the nod. Guess we'll find out soon enough. The photo is from the Telegraph's website. Thursday morning is when the PGA will announce the American captain for the 2014 Ryder Cup team. And according to GC, we could be in for a big surprise. Here's why: Apparently the PGA usually gets in contact with their choice well before the announcement is made... and apparently none of the expected choices has been contacted yet. At least those folks "in the know" about these things don't think they have. The frontrunners in this little race were thought to be David Toms, Tom Watson, and Larry Nelson. Toms most closely fits the recent profile -- an active Tour player between 40 and 50 with major wins. But he says the PGA hasn't contacted him about anything. Larry Nelson has been a "sentimental favorite" for some time. I won't go into the whole story, but Nelson gave up a chance to be captain back in the 1990s so Lanny Watkins could do it, having been told he would get another chance. He never got it. There's been a big campaign to make him captain this time... but Nelson says the PGA hasn't contacted him either. Tom Watson said last week that he'd love to repeat as captain if the PGA would let him. But if they've talked to him, he's staying mum on the subject. And despite being the Presidents Cup captain, many think Fred Couples might get the job. But Freddie hasn't said anything about it... not that I think he would. Personally, I think it's going to be Freddie. He's closest to the criteria the PGA has been using for the last couple of decades and, as we all know, he's been very successful as the Presidents Cup captain. Of course, that would mean that Freddie's becoming a professional captain, a position that could curtail his playing somewhat. But given his back problems, that might not be a bad thing for him. At any rate, I suspect the PGA decided they have only one real criterium for the US Ryder Cup captain -- they want a winner. Of all the potential captains currently available, Freddie is probably the most obvious choice. We'll find out tomorrow. It's going to be announced on The Today Show on NBC, and GC will then run a special about the choice at 10am ET. Around the wider world of golf: Charl Schwartzel blew away the field at the OneAsia Tour's Thailand Golf Championship; Shanshan Feng blew away the field at the LET's Omega Dubai Ladies Masters; Scott Jamieson won the ET's Nelson Mandela Championship in a playoff; and the team of Kenny Perry and Sean O'Hair squeaked out a win at the Franklin Templeton Shootout (aka the Shark Shootout). When the PGA Tour isn't playing a regular season tournament, I sometimes have trouble picking what other tournament to write about. This week I had already decided to focus on the Australian Open, simply because Opens are usually important tournaments even if they don't always draw the big names. The Aussie Open had Adam Scott, Justin Rose, and Tom Watson; most of the other players were lesser-known names. But it definitely turned out to be the most interesting event. You see, while the winners of some of this week's other events blew away their respective fields, no other tournament can say that its field was nearly blown away! Even though there was a 3-hour delay because of high winds -- I don't know how high, but I heard there were gusts of 80km (that's around 50mph for my American readers) -- the Aussie Open still finished the event because the greens crew planned for it! They didn't cut or roll the greens and they picked easier pin positions, so the balls might wobble in the wind but they didn't roll away. I don't think the players really appreciated it that much. Even par was a great score. A few players managed rounds of -1. The only guy to shoot in the 60s was -- no surprise -- Tom Watson, who shot -3. But the beauty of it all was that the winner was 53-year-old Peter Senior. His final round of even par made him the oldest man to ever win the Aussie Open, beating the previous record set by Peter Thomson at the ripe old age of 43 way back in 1972. When some blowhard says his game’s a mite dull. After becoming the first Chinese player to win a major earlier this year, Shanshan Feng just added another big win over a strong field at the LET's Omega Dubai Ladies Masters. And all she did was beat the previous scoring record -- held by both Annika Sorenstam and In-Kyung Kim -- by three strokes. Her rounds of 66-65-67-67 (-21) gave her a five-shot victory over her closest competitor Dewi-Claire Schreefel... who was, in turn, four strokes clear of the third place finishers. Only one player within 9 shots of you? That's a pretty serious beating to put on the field. Shanshan's currently #6 in the Rolex World Rankings, but I'd be surprised if she isn't #5 or even #4 when this week's rankings come out. We all know how much of a "rock star" she became in China after she won the Wegmans LPGA Championship earlier this season. This win will only fuel the growing golf frenzy there. And if China is able to put up a good showing at the Olympics... well, I think they're going to owe Shanshan Feng a huge debt of gratitude for being a trailblazer. As it stands -- if the Koreans are any indication -- we're about a decade from seeing a flood of Chinese professionals. The US ladies better start practicing. The photo came from the LET's web page about the event. I know some of you like to use training aids... but they get awfully expensive sometimes. 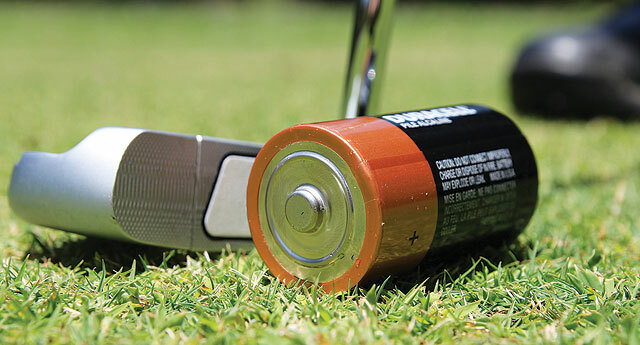 This article at golftipsmag.com, simply called Homemade Training Aids, will give you some ideas on how to use things you have laying around the house to help your game. One quick note: They suggest using a towel under your lead arm to help improve connection. Try using it under both arms. You won't be able to make as long a swing -- you may only get your hands to shoulder height -- but it will help you build a connected feel with both arms. It will also help you stop casting when you start your downswing. Thursday night Golf Central showed some footage of the new putting technique Michelle Wie's trying over at the Omega Dubai Ladies Masters. I tried to find a photo of it but, alas, no luck. However, I can show you basically what it looks like. This, my friends, is Leo Diegel, a two-time major champion from the 1920s. And this unusual putting style became known as "Diegeling." This photo is from 1924 and, yes, it's an anchored stroke. Michelle is using something very similar, although she has her elbows close to her side rather than pointed out. I don't know if she's anchoring the putter or not; it wasn't clear from the footage I saw. Charlie Rymer questioned whether she could use the style for very long without causing physical problems. "Diegeling" is one of the more humorous putting styles that has been used over the centuries... but it's not entirely without merit. Ignoring the anchoring and "wings" for a moment, the concept isn't too far from what Dave Pelz teaches. By leaning over so much that your spine is almost parallel to the ground, it puts you in a position where the putter can swing like a pendulum -- or at least as close as a human body is likely to get. Two-time major winner Hubert Green is another pro who was quite successful using a putting style like this. So when everybody is laughing at Michelle Wie -- and it's already started, judging by the GC telecast -- "Bear" in mind that this isn't such a bizarre putting concept after all. The Leo Diegel photo came from this site, and the Nicklaus photo came from this site. The PGA Tour finally announced its remaining awards... and there were no real surprises. It's certainly no surprise that Rory McIlroy won Player of the Year. Four PGA Tour wins, including an 8-shot win at the PGA, the money title, and the scoring title will do that for you. And, in my opinion, the Rookie of the Year winner was no surprise. While there was a lot of debate, particularly about Jonas Blixt's late-season run, I never thought anybody should have gotten it besides John Huh, the notorious Question Mark. He was the fastest to the winner's circle (at the Mayakoba in February), he had a runner-up (at Valero), and he was the only rookie to make it to the Tour Championship, finishing 29th in the FedExCup standings and booking a trip to the 2013 Masters. He's currrently #71 in the OWGR. Barring someone else having multiple wins, I don't know how anybody could overlook his accomplishments. Huh also becomes the first Korean player to win Rookie of the Year -- at least, on the PGA. I know that doesn't figure into the voting for ROY, but it's another first for him. For my money, the Tour got it right this year. There was no question mark in my mind who should have been Rookie of the Year... and now the Question Mark has it. The Q-Schools are over. In the LPGA Q-School the primary surprises were Christina Kim getting only conditional status and Mel Reid missing the cut. But we'll be seeing both of them a lot, I suspect -- Kim is popular and Reid still has her LET membership. But there were quite a few surprises at the PGA Q-School. You can see the full results at this link -- 26 players got Tour cards -- but I'll just point out a few of the more interesting results. Bear in mind that the winning score for the 6 rounds was -25. Kris Blanks got his card quite easily after missing most of the season with injury. He was so gung-ho to play that I'm not sure his finish was ever in doubt. He finished T4 at -23. Two-time heart transplant recipient Erik Compton put on a run the last two days to finish T7 at -22. His story is the kind that sportswriters love, and it helps that he's just such a nice guy. And I have to mention Mr. Monday, Patrick Reid. Finishing right on the number -- T22 at -17 -- he said his fiance will be on his bag again next year. Except she'll be his wife then; they're getting married later this month. I can't even begin to list all the surprises who missed out on a card. Yeah, I know there's only so many cards to go around and there's always a lot of name players who end up missing out... but multiple event winner Camilo Villegas (T32)? Morgan Hoffman, who was near the lead after 2 rounds (T73)? ET Tour players like Oliver Fisher (T27 -- missed by a single stroke) and Alex Noren (T73)? Nick O'Hern, the "Tiger Killer" in match play (T104)? But any way you cut it, the die is cast. Everybody knows what they have... or don't have, as the case may be. What surprises will 2013 have for them... and for us? I can't wait to find out. Around the wider world of golf: Not much this week, as we're entering the so-called "Silly Season." Arnond Vongvanij won the King's Cup on the Asian Tour; Pornanong Phatlum won the Hero Women's India Open on the LAGT; and Martin Kaymer won the Nedbank Golf Challenge. I may start calling Graeme McDowell "Irish Ice" because he's got ice water running through his veins when the pressure is on, yet he always seems to be smiling. He certainly knows how to close out a tournament once he gets the lead. Granted, he hasn't been too impressive as a closer this season. (The last two seasons, in fact.) He's gone through equipment changes, injuries, some swing changes, relocation, engagement, and a business start-up... and now he seems to have it all working again. He showed signs earlier in the season with some good finishes in majors, but he just couldn't seem to get 'er done. This week, only Keegan Bradley was able to challenge him... but he just didn't have enough to wipe the smile from those Irish eyes. He just couldn't keep pace with the man who grew up playing in damp weather -- a man who, by the way, has racked up two wins and a runner-up finish in his only three starts at Tiger's tourney. Graeme will be taking around ten weeks off -- he still has business concerns and such to attend to, as well as just needing a vacation. But 2013 certainly looks bright for him, and this week's Limerick Summary celebrates his victory as well as my new nickname for him. Up cash. Few win this event twice! Today I found a new video from instructor Karen Nannen about hitting your driver at golftipsmag.com and decided some of you might find it helpful. After all, you hit the driver with an upward stroke -- not downward, as you do with an iron. One thing I want to point out -- and this goes for any face-on video you may look at -- is that spine angles can be a bit deceiving from this view. It looks as if Karen is leaning backward when she swings upward, but she isn't. Because she's bent forward at the hips --that is, tilted toward the ball -- it can look as if she's pushed her hips forward and curved her back more than she actually has. Bear that in mind when you make your swing; otherwise, you might unintentionally add a slice by tilting your spine backward too much. If you do that, you might leave the club face open. While the main news from this week's Q-Schools has been about the players in contention, I've been more interested in the players who aren't playing as well as expected. Some of their scores are quite shocking. And after three rounds, the PGA has only three more to go, the LPGA only two. Things are getting tight. For example, Morgan Hoffman dropped from T5 to T44 when he shot 74 on Friday. Even worse, Daniel Chopra dropped all the way from T5 to T66 with a third-round 76. Nick O'Hern and Rod Pampling are all the way back at T75 -- not shooting over-par rounds, but just not getting anything going. With the current leader at -18, the best of these players is 10 shots back! And they only have 3 days to make up ground. Hoffman is barely hanging on to a Tour card right now at -8. (Yes, 10 strokes back.) For what it's worth, Hoffman's chances might be pretty good. In past years, averaging -3 each round has generally been good enough to lock up a card. A lot of familiar names are even farther back in the pack. I was shocked to find Patrick Reed, the guy who Monday-qualified for a number of events this year, all the way back at -3 (T98). And ET winner Alex Noren is even par (T132). I never would have expected that. At the LPGA's Q-School, the big shocker for me is Mel Reid. Mel is T95, an unbelievable +10 while the leader's at -13. With only two rounds left in their qualifier, I don't see how she can possibly make that up. But when you're talking about Q-School, perhaps that's an appropriate analogy.